A vicar says his son would be likely to kill himself if he were to be extradited to the US to face cyber-crime charges. The US wants to prosecute Lauri Love, 31, of Stradishall, for allegedly stealing details from the FBI, the Missile Defence Agency and Nasa. Mr Love, who has Asperger syndrome, says he will not go to the US "under any condition whatsoever". A two-day extradition case is being heard by Westminster magistrates. 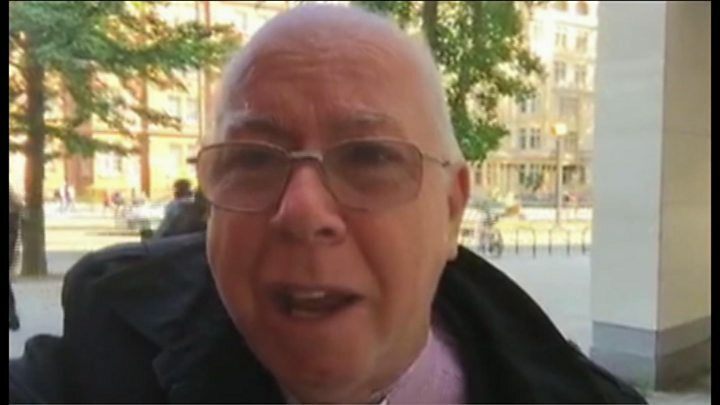 Rev Alexander Love, a prison chaplain who works with vulnerable people at risk of suicide, told the court that some people he had counselled saw killing themselves as their only solution to a future they could not see. He said: "In regard to my son ... Lauri is somebody who strikes me as somebody who will do this. The probability is quite high." Mr Love said the "bitter experience" of leading funerals for people who had killed themselves led to the regret that everyone has, "that they didn't see it coming". "In Lauri's case," he said, "we do see it coming, that is the big difference. "At times Lauri is in utter despair. At other times he's frustrated with the world. We have become his carers. His ability to grasp the real world is impaired." Psychologist Prof Simon Baron Cohen told the court "about two thirds of people with Asperger's have suicidal thoughts... the overwhelming priority is to keep him (Lauri Love) alive". "About a third go on to make suicide plans like Lauri has," he said. "I think it would be a risk to think this is all fantasy."